Today’s laminate countertops are not what they used to be! Offered in stone, granite, wood and abstract patterns, laminate’s extensive array of design options are perfect for every style preference. In addition, combining countertop surfaces such as a quartz island with a laminate perimeter can extend your budget and give the “mixed materials” look that is popular today. 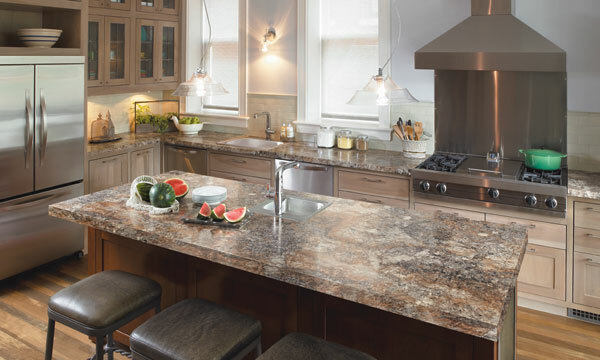 Laminate countertops are easy to maintain and resist stains, heat and impact. Their performance, beauty and variety offer an attractive combination of great looks and superior performance and will keep your countertop trendy and stylish.